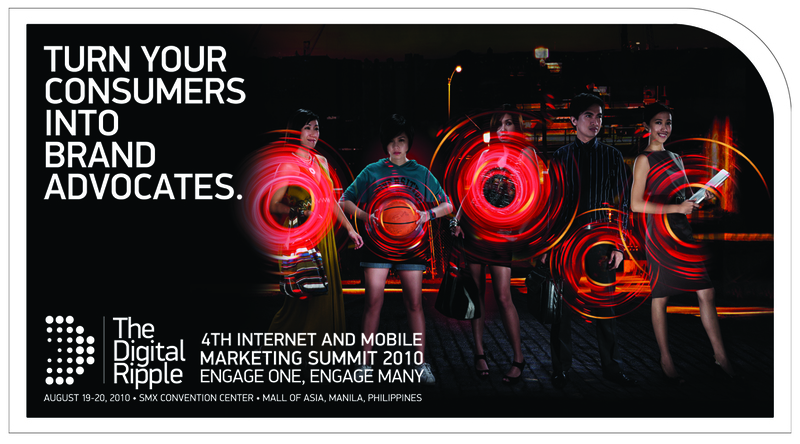 IMMAP – Internet and Mobile Marketing Association of the Philippines is conducting an event called “The Digital Ripple : 4th Internet and Mobile Marketing Summit ” which will be held on August 19 to 20 at the SMX Convention Center. There will also be open forums and panel discussions. 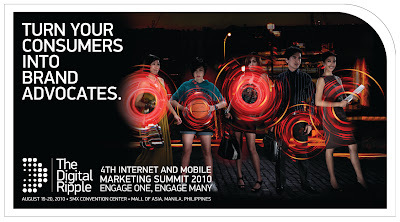 I’m sure everyone will get to learn something about Internet and mobile marketing. And they have good resource speakers, to name a few : Jeremiah Owyang of Altimeter Group, Maria Ressa of ABS-CBN, Ken Mandel of Yahoo, Angeli Beltran of Dentsu Asia, Jim Ayson of Smart Communications, Rohit Dadwal of Mobile Marketing Association Asia Pacific, Ltd., Jaime Enrique Yuchengco Gonzalez of IPVG Corp., Robbie Hills, Arnout Mostert, Art Policarpio, TJ Parpan, Jojit Alcaraz, Christian Cadeo and a lot more. If you are interested you might want to follow IMMAP on facebook , they also have a twitter account and I suggest you follow them so you can get updates from time to time. This is very timely, internet is at its peak in the Philippines, almost everyone I knew has a facebook account, creating their business page there, and most of my friends are selling stuff online, using the internet for their business. Search Profile Index by 4th Media Internet Technology Corporation is also an exhibitor in this event.